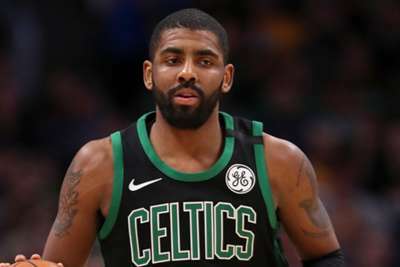 The Boston Celtics blew an 18-point lead in the final eight minutes in a loss to the Charlotte Hornets on Saturday, but Kyrie Irving notched an impressive milestone. The Boston guard scored 31 points, his fifth straight game with 30 or more. Only Larry Bird, Paul Pierce and John Havlicek have managed that feat for the Celtics. It seemed the Celtics had the game well in hand and Irving would enjoy a nice 27th birthday present with the 30-point milestone. But the feel-good atmosphere took a bad turn when the Hornets went on a 30-5 run to end the game en route to a 124-117 victory. Hornets guard Kemba Walker led the way with 36 points, 11 assists and nine rebounds. Afterwards, Irving, who had his hands full defensively with the Hornets' All-Star guard, questioned the Celtics' defensive strategy. "We should have probably trapped him a little bit more like every other team does in the league," Irving said (via the Boston Globe ). "He torches us every time. It's no surprise."